This is a guest post by Jane from Trip To Motherhood. Here she shares everything she’s learned about how to lose weight while breastfeeding without affecting milk supply. Two of the most common problems new moms struggle with are low milk supply and stubborn baby weight. On top of everything else you’re going through postpartum, it’s not uncommon to find yourself asking, what do I need to know about diet for weight loss while breastfeeding AND keeping my milk supply up and my baby happy? When we have our babe to think about, it’s a whole lot harder than just cutting calories! We don’t want to damage our supply, and we KNOW the demands on our body are higher – the average crash diet is unacceptable. Regardless of weight loss considerations, eating healthy and nutritious food is essential while breastfeeding, since every thing you put into your mouth will end up in your breast milk. Some moms have to stick to a stricter diet because their babies tummies can be upset by what they eat, making a breastfeeding diet even more difficult. 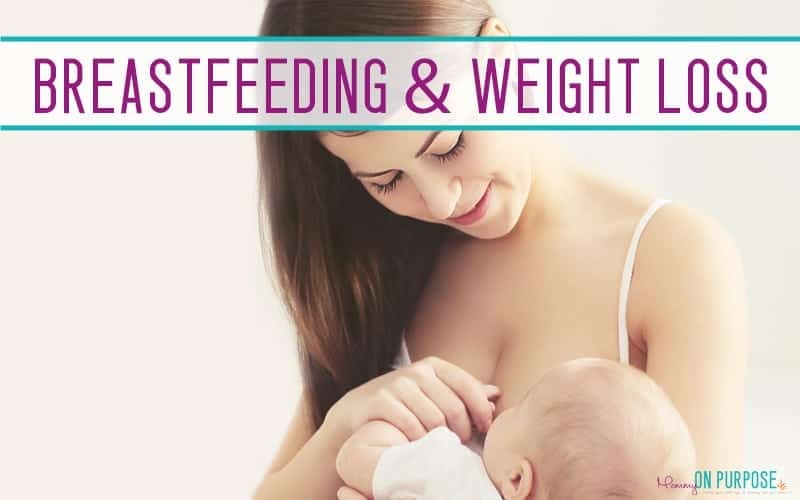 Let’s discuss a few aspects of a breastfeeding diet that can help boost milk supply and promote fast and healthy weight loss. First off, I have to mention that milk production is stimulated by frequent breastfeeding. So nursing on demand is a GREAT thing to do. I also recommend nighttime nursing, since the production of prolactin (the hormone responsible for the amount of the produced milk) is at it highest during the night (specifically, from 2 to 6 a.m.), so breastfeeding at these early morning hours will actually help with boosting your milk production for the following day. 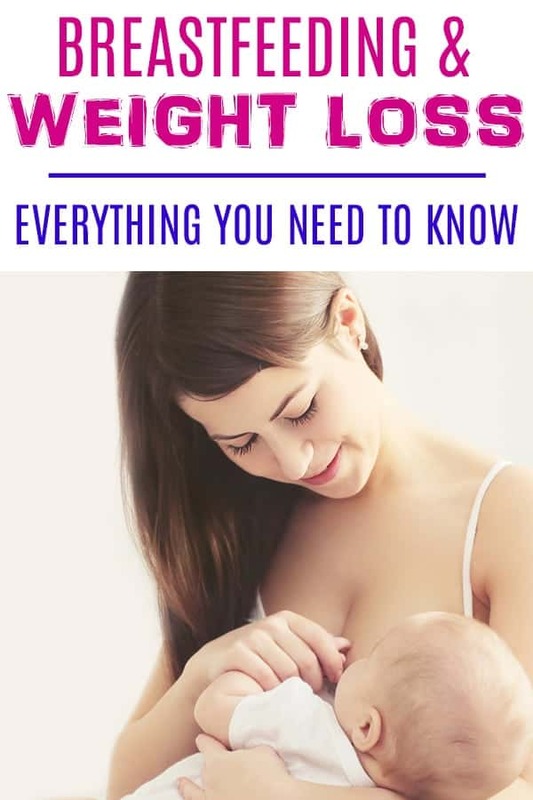 Now, let’s get back to THE topic we’re here to discuss – breastfeeding and weight loss. Are there specific foods you SHOULD eat while breastfeeding to promote weight loss (and milk supply too)? Are there products/foods that can increase milk production? Should I stick to a special diet while breastfeeding? Are there foods that could ruin my milk supply? Yes, there are products/foods that BOOST your milk supply quite significantly (read on to see the full list). As far as a “special” diet, the answer is yes and no. It depends on what your main goal is. In terms of establishing good milk supply and losing weight, the point is to stick to a healthy well-balanced and nutritious diet. Sadly, yes, there are foods that lower your milk supply! We will talk about them in a bit. Water – Staying hydrated throughout the day is extremely important, both for milk supply AND for weight loss. Sometimes we get a false “hunger” signal from our body when we’re dehydrated. We think we want to eat. But in reality, we just haven’t drunk enough water. And a breastfeeding momma NEEDS a ton of water! So drinking plenty of fluids (better warm or hot – great for milk production) is essential. I’d suggest drinking a glass of water 15 minutes before each meal. As a result, you’ll tame your hunger and be satisfied with smaller portions AND keep your fluid intake up. Both are crucial for weight loss while breastfeeding! Omega-3 foods – It is essential to include different sources of Omega-3 in a breastfeeding diet. Omega-3 contains polyunsaturated fatty acids that promote healthy baby’s brain growth and enrich your body with good fats together with antioxidants. There are also studies to suggest that Omegas can help us lose weight (source), so if it’s good for the baby AND mom, why NOT?! The best source of omega-3 is salmon because it has all the necessary forms of omega-3 that our body needs (DHA/EPA and ALA). There are also plant sources of omega-3, such as flax and chia seeds, brussel sprouts and walnuts. However, they contain only ALA fatty acids, which alone are not enough for the growing baby’s brain and increased demands of on mom’s body postpartum. A good Omega supplement can make getting your omegas in easier! Almonds – They’re definitely nutritious: great source of good protein, calcium (the intake of which should be almost doubled by a breastfeeding mom) and vitamin E (essential for skin and hair). Almonds are also great for lactation because they are considered as a galactagogue. A handful of nuts will conquer hunger and keep you away from junk food. But first, test your baby for an allergic reaction to nuts to make sure you can eat them. Have some almonds in the morning and watch for any reactions throughout the day. If no change is noticed (e.g. : skin redness or rash, excessive gas, etc. ), then you’re good to go. Oatmeal – Why? It’s healthy, nutritious, easy to make and, while there’s no specific evidence as to whether oatmeal has any real effect on boosting milk supply, it sure seems to work for many women. Many moms notice an increase in breast milk production and the amount of let-downs during breastfeeding sessions when they consume oatmeal. I did notice this as well! And I am an oatmeal lover, so that was a win-win for me. Ginger – This is my absolute favorite! I just drank ginger water. It’s easy to make and the benefits are endless, the most obvious of which is that ginger helps to burn calories and it’s super lactation-friendly! Ginger water for everyone – yay! 🙂 I also mix in some lemon juice and honey. A perfect treat for just-plain-water-haters. Greek yogurt – Quick, nutritious, no-cook, healthy snack rich in protein and calcium. On top of that, add some sliced fruit (a banana or mango, for example) or berries, plus chia seeds, and you’ll get a total milk-boost delight! High protein foods – (both animal and plant sources). Cottage cheese, hummus and beans – all great for their multi-vitamin and mineral content. When it comes to meat, opt for organic and grass-fed one to make sure no antibiotics, hormones and other harmful additives end up in your breast milk. It should be noted that although you might be attempting to lose weight while breastfeeding, just cutting calories isn’t the best way to do that. Calories are essential for breast milk production. Just make sure you’re taking in high quality calories. Stay away from junk food – Obviously, to lose weight we need to avoid this stuff. When you’re in your first months of breastfeeding, you might find yourself hungry (even starving) all day long (even if you eat well). Sometimes, you grab the first easy thing you see – like pastry, sugar, carbs (when your brain says: Calories! Survival! Eat THIS!). I figured, best thing to do is get rid of all sugary, unhealthy, fast-food products and never have them in your house. They are bad for your health, cholesterol levels, for your baby (could make him gassy and provoke allergies) and they will certainly have nothing to do with weight loss. I stuffed my fridge with healthy grab-and-go snacks, like pre-cut veggies and fruits, hummus, nuts, yogurt with berries and fiber. If you’re feeling hungry, drink a glass of water before snacking! You will feel much better. I promise. Cut down on fish high in mercury – This element passes into your breast milk and then onto the baby which can affect your baby’s neurological development. Nothing else to add here. Caffeine – I’m a total coffee lover. I only had the strength to avoid coffee for the first month of breastfeeding. I then kept the intake of coffee down to one cup a day (which is said to be ok, providing that you don’t consume other caffeinated products, like tea, chocolate, sodas, energy drinks, etc.). Caffeine ends up in your breast milk (like everything we consume) and can cause irritation and crankiness in babies, since their bodies don’t process caffeine effectively. Watch for allergies – If baby is fussy, the culprit COULD be something you’re eating. You won’t know if baby has intolerance to certain types of food or not, so you might want to avoid cow’s milk and peanut butter, since these are two huge allergens that penetrate into mother’s milk. Other common culprits of a fussy tummy are red fruits and veggies (at least for the first 6 months of breastfeeding). You can introduce new products into your diet one by one (better to do one every week) and see if you baby has a reaction to it. Breastfeeding and drinking is a hot topic, and it’s one we need to make up our OWN minds about. As far as our goal of losing weight while breastfeeding goes however, obviously drinking alcohol won’t move you towards your goal. Alcohol is empty calories, AND makes us “munchy”. The fact is that we are far LESS likely to be successful at losing weight while breastfeeding if we are drinking, regardless of our feelings about breastfeeding and alcohol in general. Have a glass of wine right after you breastfeed (or WHILE baby is nursing). This way you’ll have a couple of hours before the next feeding session and the alcohol should be out of your system by then. No need to pump and dump! Have a glass of water after your drink. Just makes it easier and faster for your body to get rid of the alcohol. One glass of wine (150ml) takes two hours to wash off. Double the time if you had two glasses. Limit yourself. Less is always better when it comes to drinking while breastfeeding, particularly if the goal is weight loss. There are certain foods that can reduce milk production. Not a lot of them, but it’s crucial to know what they are. Smoked products, canned food, spicy food and seasonings. If you overindulge yourself with this kind of stuff, your milk supply could indeed decrease. Not only that, processed foods in general isn’t great for you, and your child is the one who might suffer the worst – with gastrointestinal issues like colic and indigestion. Some herbs can REALLY affect milk supply. So you want to stay away from them. Especially mint (for those who like to drink mint tea) and sage. The latter is well known for suppressing lactation. Mothers usually use this herb when they start weaning to softly decrease milk production. Sage helps to produce estrogen, a specific anti-lactation hormone that will interfere with prolactin levels and lower them, thus milk will be produced in less amounts. Lack of water. I can’t stress the need for water enough. Drinking water (or any fluids, including soups) is essential for good milk production. If you notice a decrease in your supply, make yourself a big pot of ginger tea and drink it throughout the day. Poor diet / lack of claroies in general. When you’ve got a newborn in your arms (especially if it’s your first baby), you might forget about everything in the world, and even ignore a basic need – like eating properly! If you find yourself having one or two meals a day and notice lack of milk supply, start eating more. Please! Have someone help you cook a couple of meals, so you don’t have to worry about it and spend time for preparing some food. RELATED: Do I REALLY have a low milk supply? You should definitely check it out! Plus, you’ll get some great tips for increasing milk production. Here’s a no brainer: if you are breastfeeding, you will likely lose the baby weight ANYWAY! Naturally – because your body uses extra calories to produce breast milk. It’s only a matter of time! Some women lose weight gained in pregnancy in a couple of months postpartum, some need around a year. Every human body is unique, so you can’t predict how much time it’ll take for you to get back to your skinny jeans. It doesn’t mean to say that you can’t assist your body to get rid of stubborn baby weight. Quite the opposite. Stay hydrated. I’ll say it again: drinking water will prevent dehydration and keep your hunger at bay. It will ALSO help with milk production and weight loss! The recommended amount of water to drink during the day is half of your body weight in oz, and breastfeeding women need an extra 32 ounces per day. Eat whole foods. Fill up on veggies, fruit, complete protein and whole grains. Cut down on junk food and sugar. Processed food and sugar are bad not only for your body, but for your health as well. Your blood sugar and glucose levels will rocket like crazy, especially if you eat junk food on an empty stomach. I’ll go further than that – cellulite, body swelling, mood swings, joint pain, psychological addiction (in addition to excess pounds) is what junk food can do for you. You’re not interested in any of that, so just leave the junk food off your shopping list. Don’t miss a mealtime. Why? Because if you don’t eat when you’re supposed to, your hunger will drive you nuts and you will be ready to eat the first thing you see – or crave. Usually, that means fast carbs. Because, under the stress of starving, brain sees carbs as a great source of instant energy, a.k.a. survival. Next thing you know, you’re chewing on a chocolate bar. I know you don’t want that! So try to eat healthy food on time (before you get super hungry). Bonus tip: take curcumin supplements (this is also great for milk production). Curcumin helps to burn extra fat and fastens your metabolism. A few facts about curcumin benefits for weight loss: it prevents fat accumulation, promotes thermogenic action (a metabolic process that provides fat loss); it has anti-diabetic action and as a bonus it reduces depression by increasing dopamine and serotonin levels (which is great, especially for new moms who do tend to get the blues). This is pretty much the whole schmear about breastfeeding diet for boosting milk supply and lose weight I wanted to share with you. I hope it was helpful! Did you find new information for yourself? Go ahead and start a discussion in comments below if you want to ask me anything. Jane Rudenko is a breastfeeding blogger at triptomotherhood.com. She writes her articles exclusively about breastfeeding relying on her own experience and acquired knowledge. She intends to make her blog the biggest in-depth resource for breastfeeding mothers. 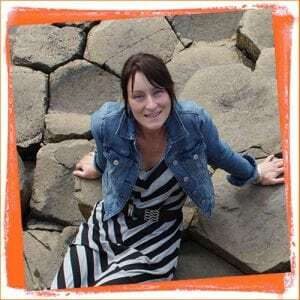 Jane lives in Kazan (Republic of Tatarstan, Russia – you can google where it is! :)). She is an English teacher but considers her vocation is helping women through her articles. 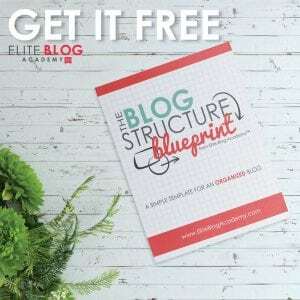 NextAre You Failing At Affiliate Marketing as a Blogger?